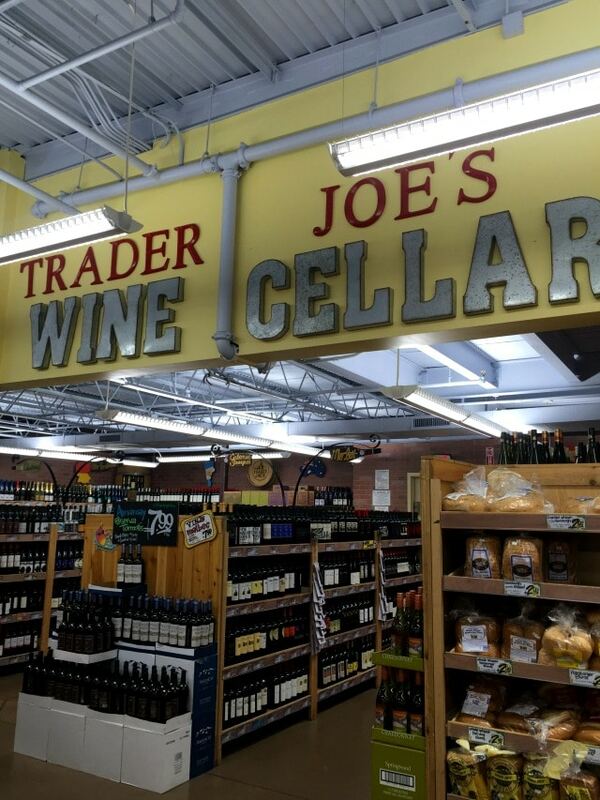 Everyone loves Trader Joe’s, right? I sure do and today I thought it would be fun to highlight what I think are the best things to buy at Trader Joe’s. 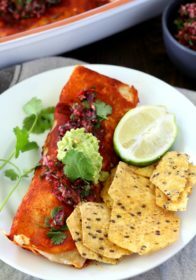 Last year I shared my personal favorite products available at Trader Joe’s and it has become one of my most popular posts. 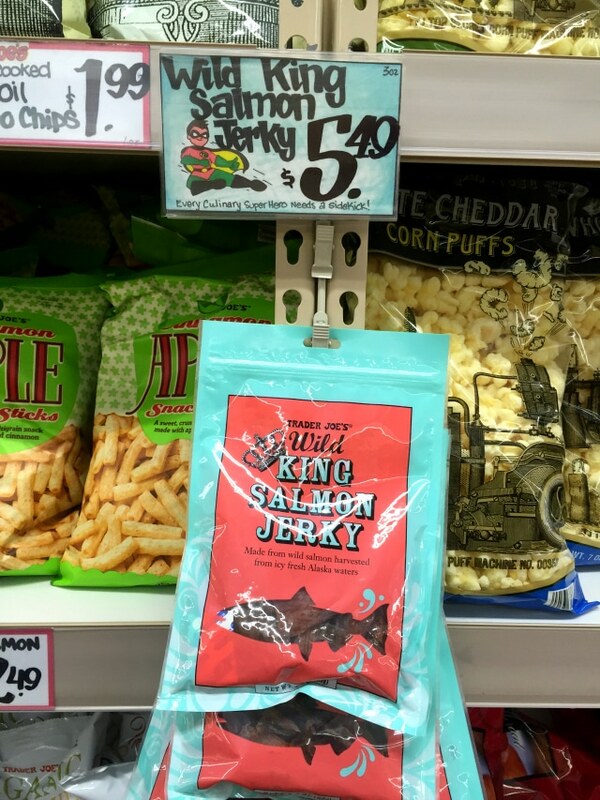 Since you guys enjoyed that post so much and there is never an end to my love for Trader Joe’s, I decided to write up an update with some additional go-to products. Please note, I could list a TON more stuff, but I kept the list scaled back to the things that show up most often in my shopping cart. Also, keep in mind that I typically go for healthier products and try to skip the ones that I know I won’t be able to stop eating, if it’s in my pantry. 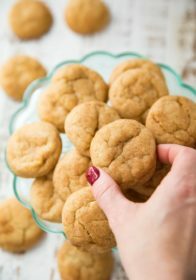 Cookie Butter, I’m talking to you! 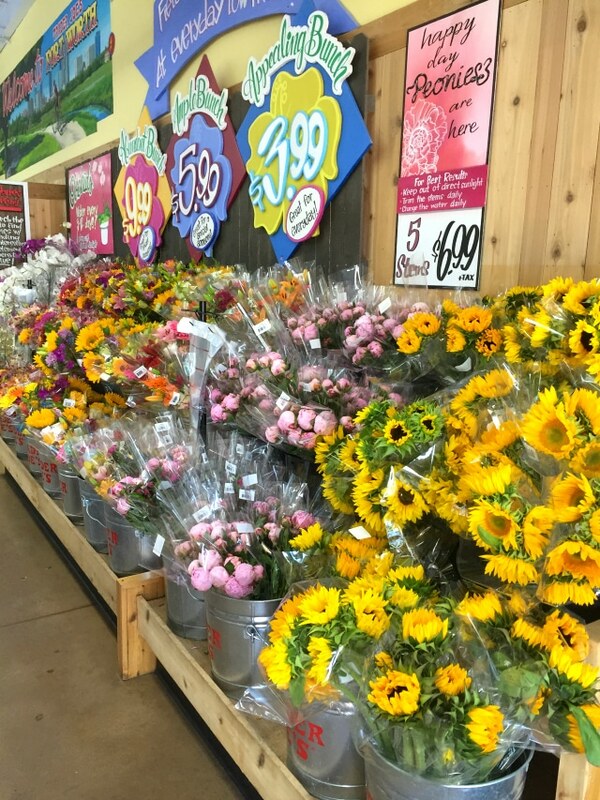 On arrival at Trader Joe’s, you’ll be greeted by beautiful flowers at a great price. I don’t always buy fresh flowers, but I have to admit they really brighten up the house. 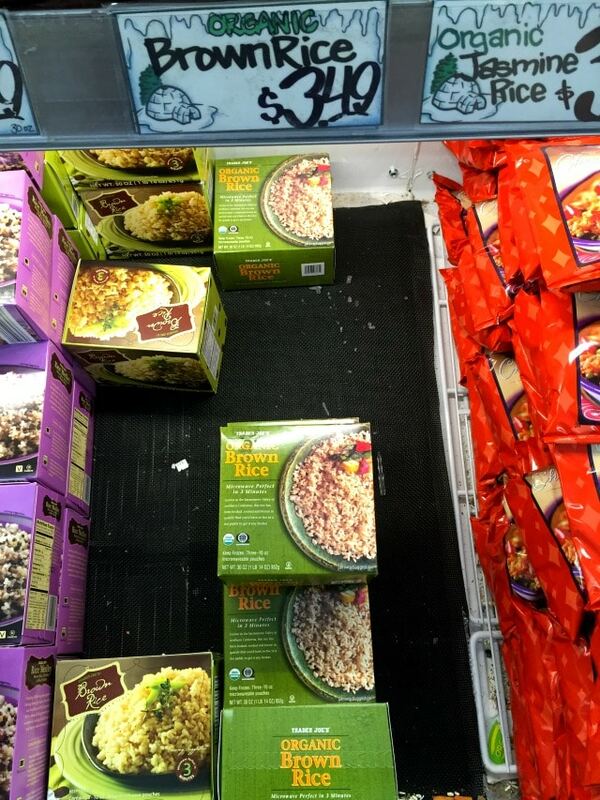 I cannot tell you how glad I was to see that Trader Joe’s has begun selling riced cauliflower. I love using this as a rice alternative and of course, for pizza crust. Having pre-riced cauliflower makes for much less hassle and mess. 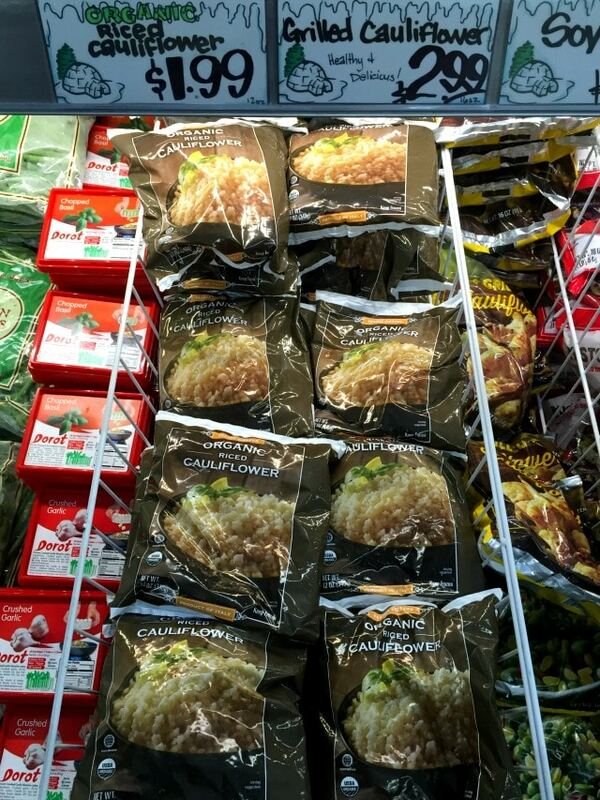 Trader Joe’s even offers frozen riced and grilled cauliflower! This premade slaw salad is so tasty and very convenient. I love the dressing that comes with it. 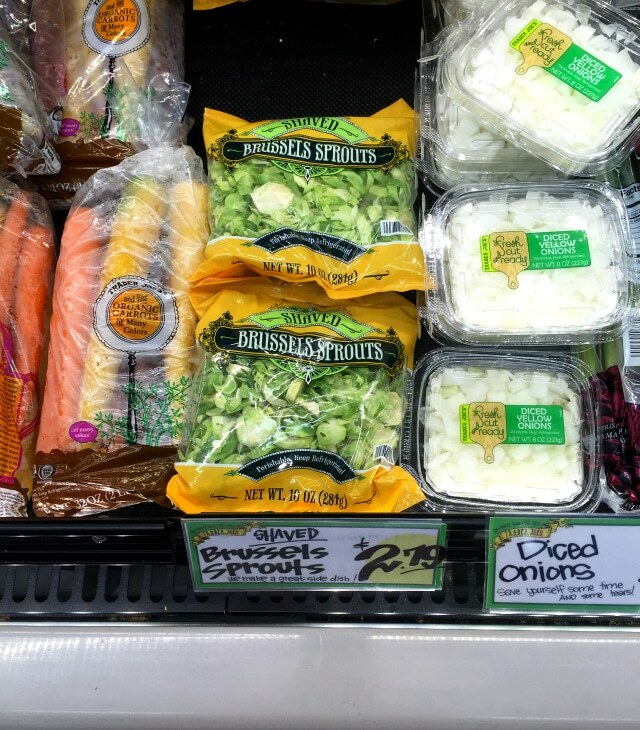 The shaved Brussels sprouts are perfect for salads. 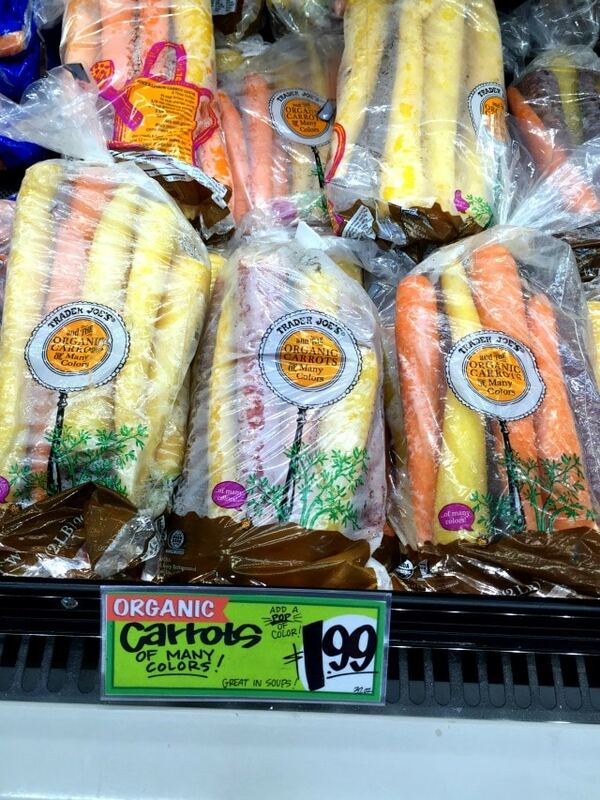 And how cool are these colorful organic carrots?!?! 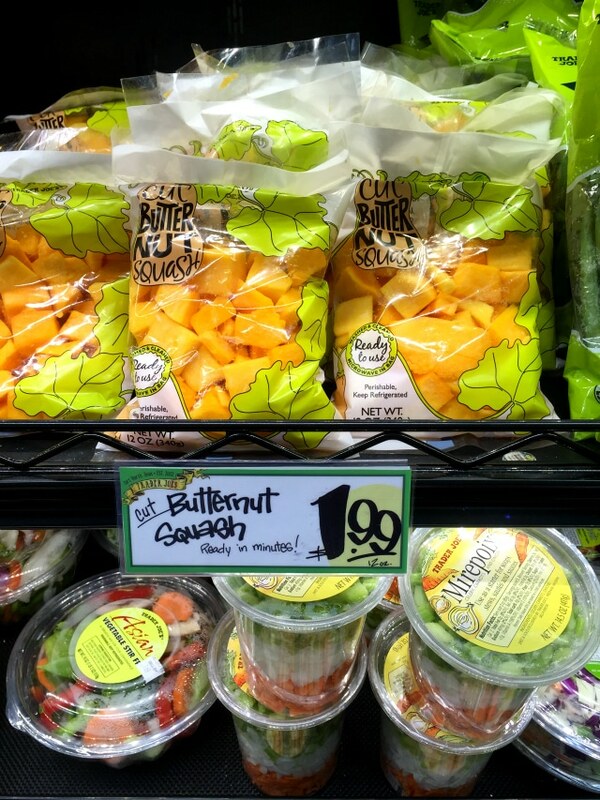 Trader Joe’s often has pre-cut butternut squash and sweet potato for a very low price. This makes cooking up soups and other dishes much easier. 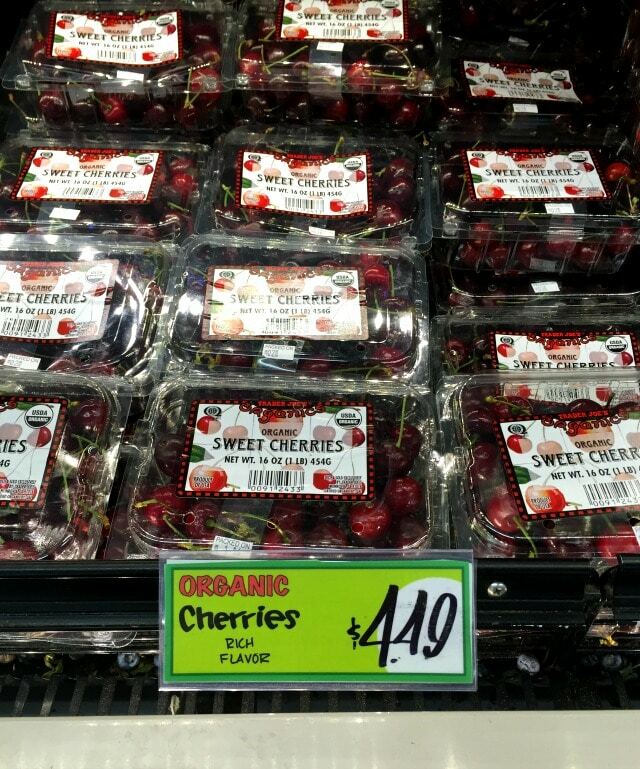 I love that I’m able to find seasonal fruit that taste fresh and delicious at Trader Joe’s. They even have organic apples year round. 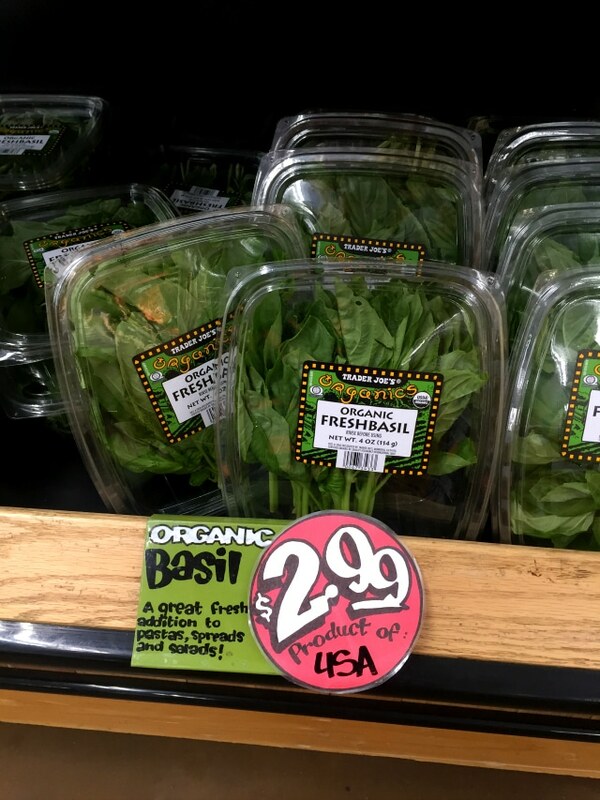 Not only do they have wonderful fresh fruit and veggies, but the fresh herbs are great too. 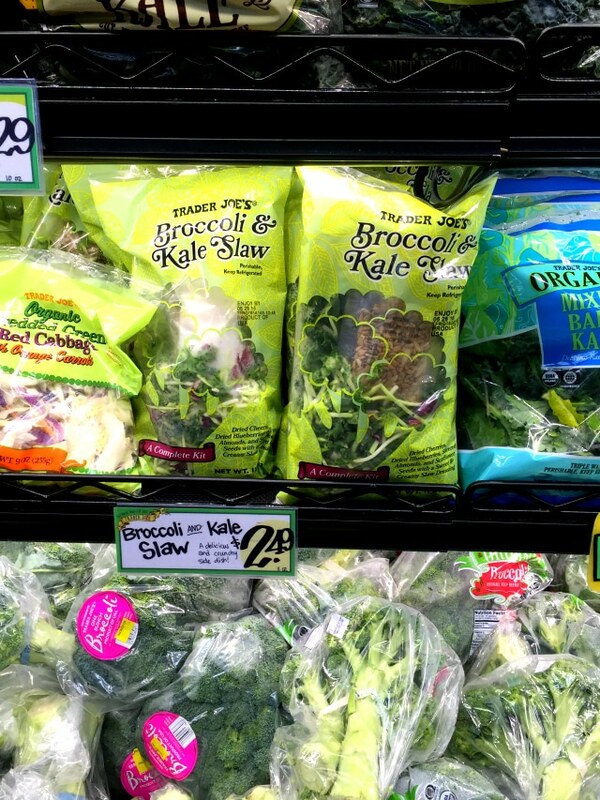 You can usually find organic options for a good price. Located near the produce is a small cooked meat section. 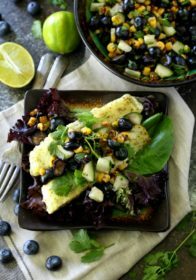 I buy the all-natural plain chicken breast, which are perfect for slicing up in salads and other dishes. 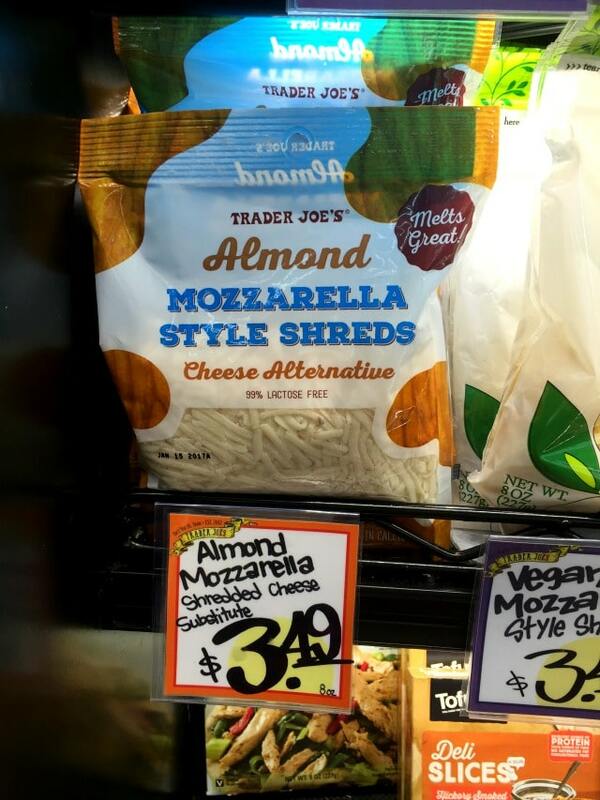 I haven’t tried this almond cheese alternative, but it looks like a very good choice for vegans or anyone else looking for a cheese substitute. 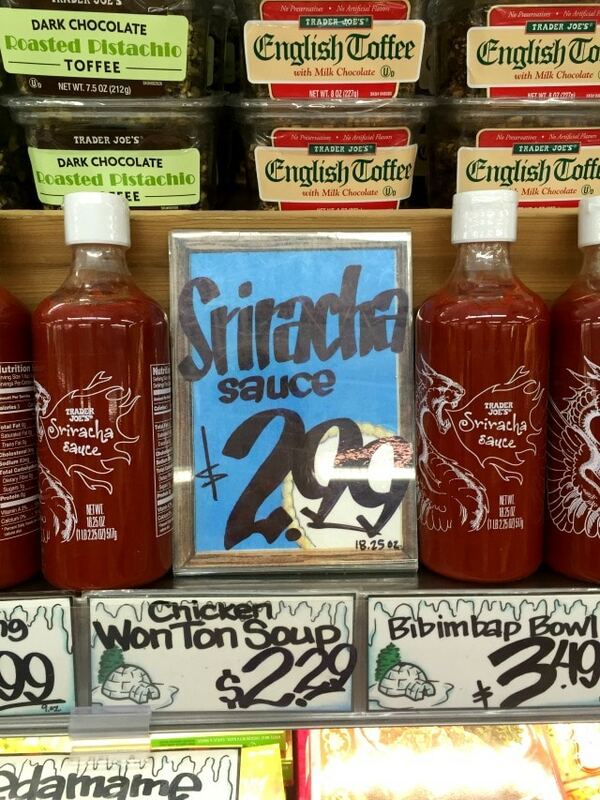 You can read about a few of my favorite Trader Joe’s condiments in my first post, but one I didn’t mention before is Trader Joe’s sriracha sauce. Love the stuff! It’s so yummy on my daily skinny egg white omelet! 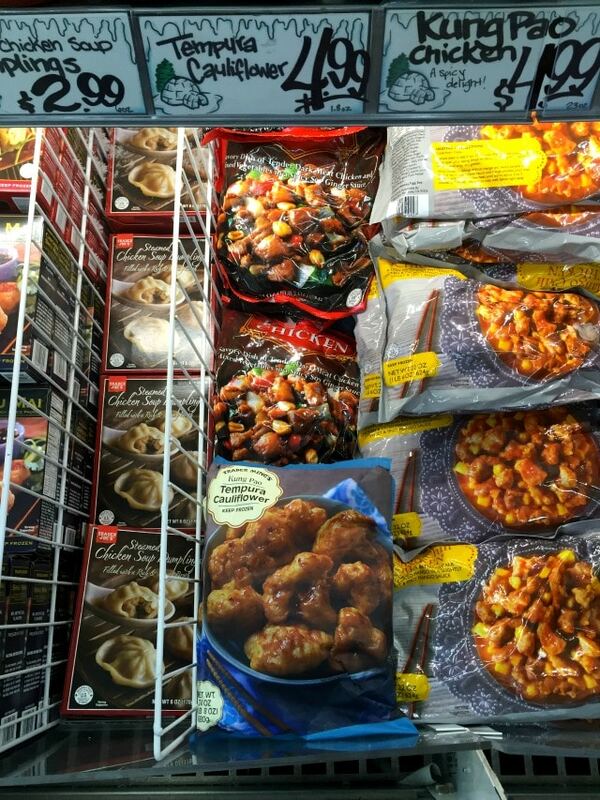 Another food product that Trader Joe’s is definitely not lacking in, is their frozen food meal starters. I don’t remember how many packets of brown rice come in each box, but I keep a box in the freezer, for a convenient side dish or meal starter. With the various stir-fry starters and microwavable brown rice packets, dinner time can be a cinch. The breakfast section never disappoints. 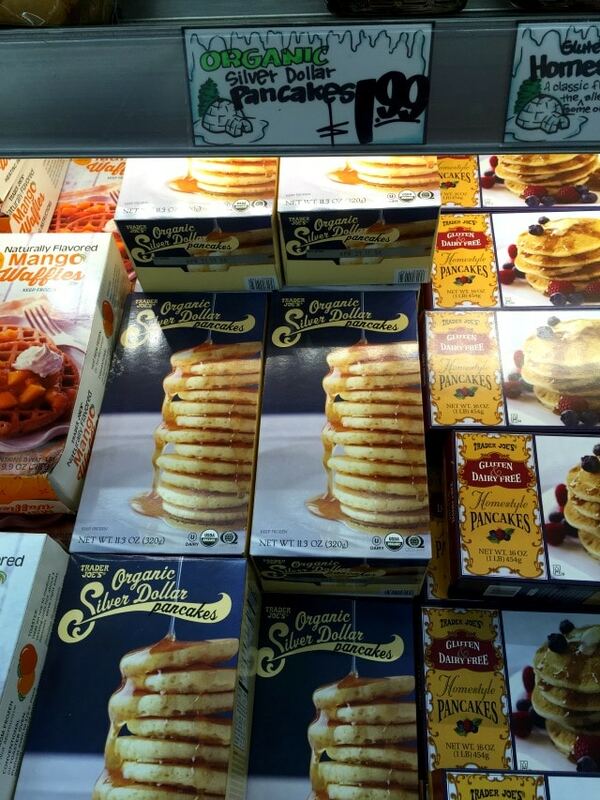 My kids adore the silver dollar pancakes for a quick breakfast. 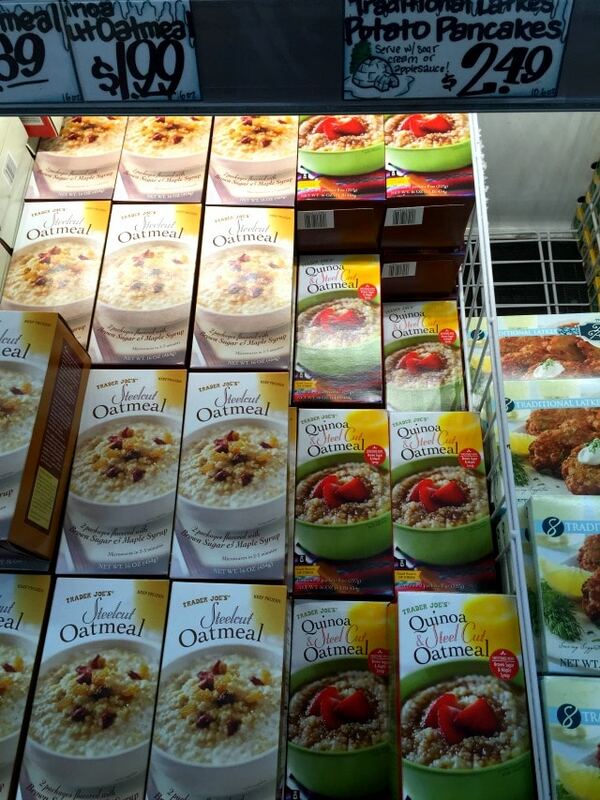 I haven’t tried the oatmeal because I prefer to whip up my own, but these look like some great choices for busy mornings. 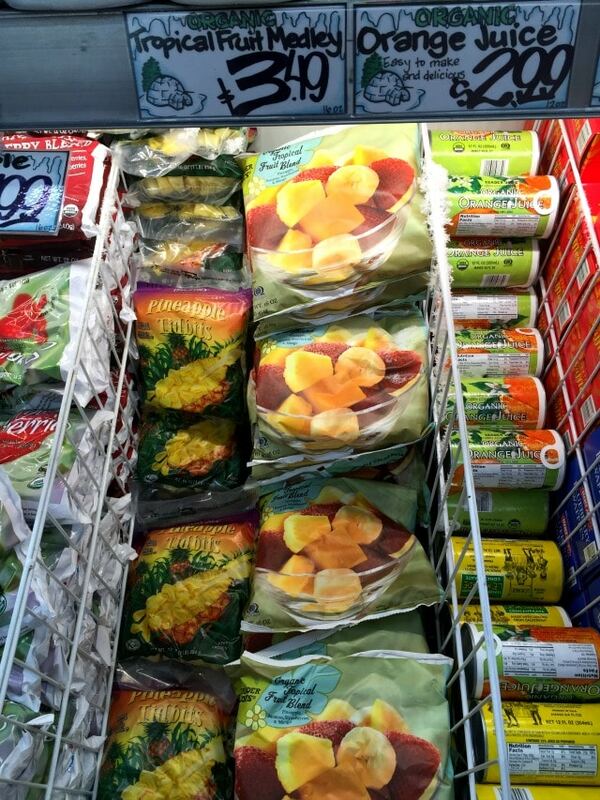 Trader Joe’s also has really great organic frozen fruit options. I’m a huge fan of the organic wild blueberries and I especially love the organic tropical fruit medley. The organic pizza crusts make for really tasty pizzas on hectic weeknights. My kiddos love making their own pizzas! 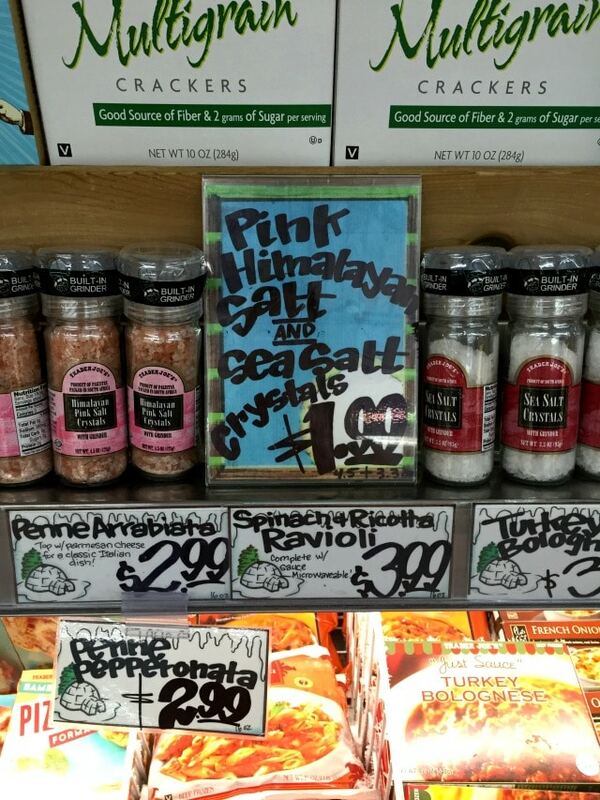 I keep Trader Joe’s Himalayan Sea Salt in my purse. It’s so good, actually all of Trader Joe’s seasonings and spices are awesome. 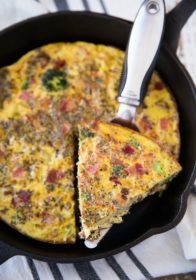 You’ve got to try Everyday Seasoning if you haven’t yet! 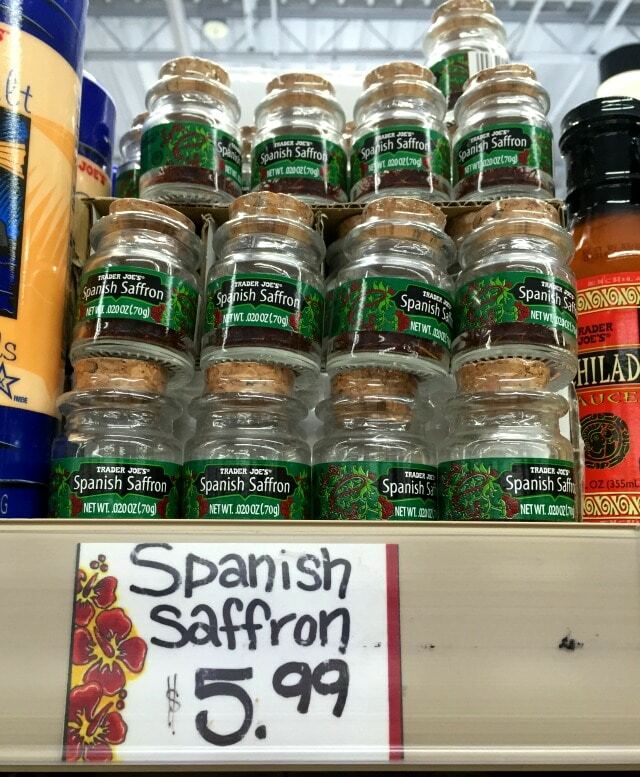 Wow… just look at the price on Spanish Saffron! There are a wide variety of olive oils that I adore. 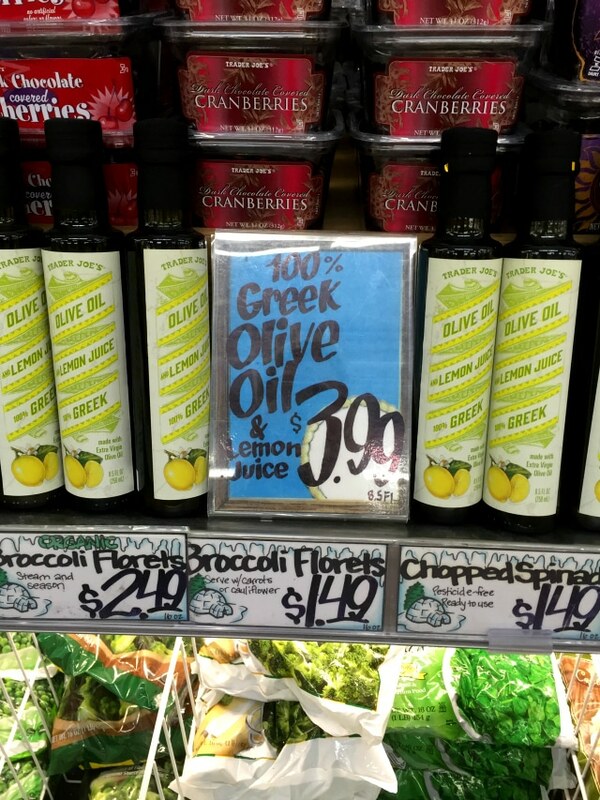 I recently tried the lemon olive oil… yum… so perfect for making dressings. 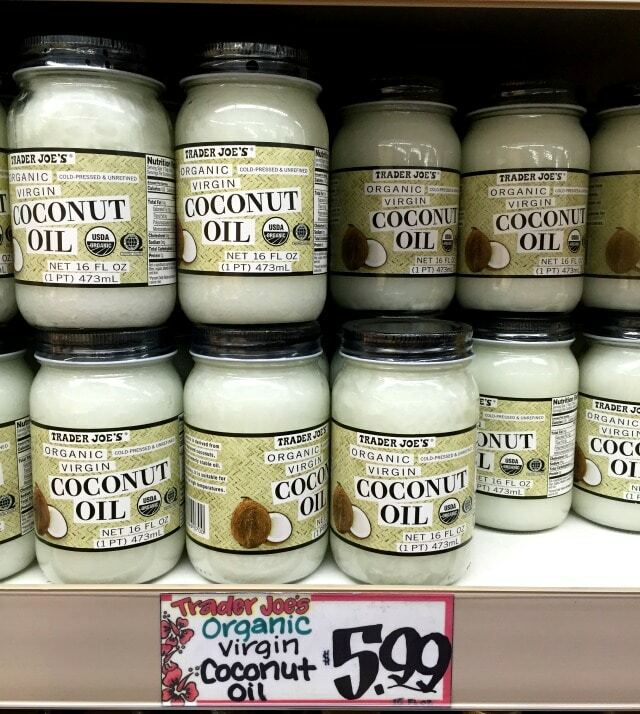 Oh and you can’t forget the coconut oil. Wonderful for baking, cooking and even using on your skin and hair. 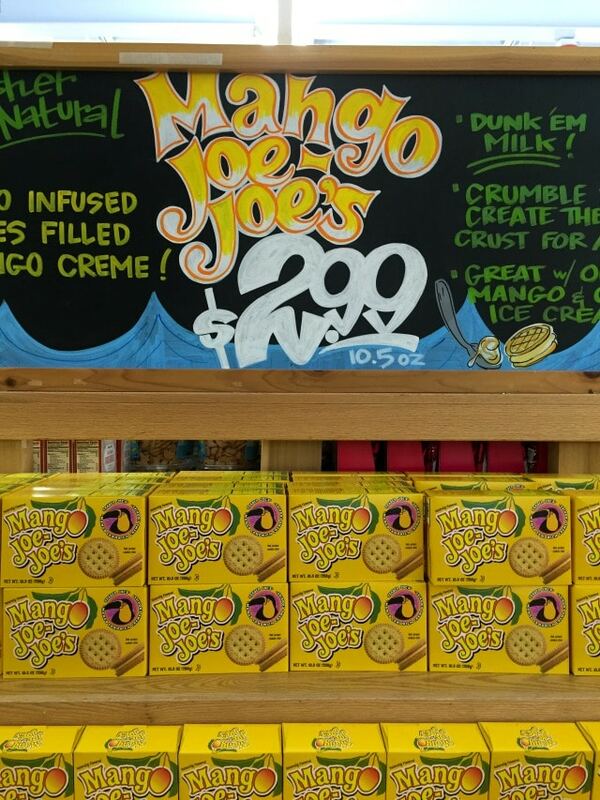 I love that every season Trader Joe’s has a theme of products that they bring in. This summer it has been everything mango, from cookies to salsa. Mango’s my favorite, so I was pretty happy about this. Oh and just wait till the fall when it’s pumpkin everything. 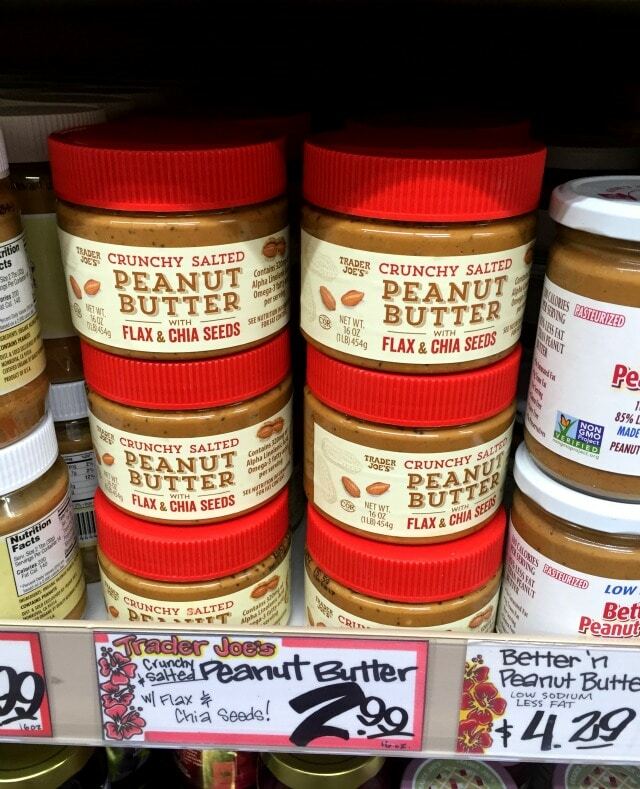 Trader Joe’s is known for awesome nut and seed butters. I mention a few of my favorites in my part 1 post. This peanut butter is a new favorite! And only 2.99 a jar! Not only are the nut and seed butters wonderful, but there is also a huge variety when it comes to nuts, seeds and trail mixes. 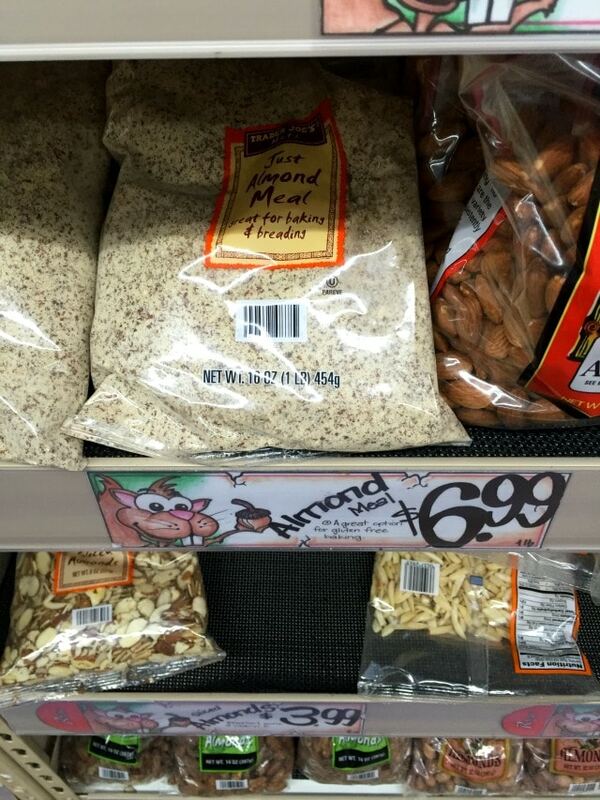 I always stock up on almond flour. 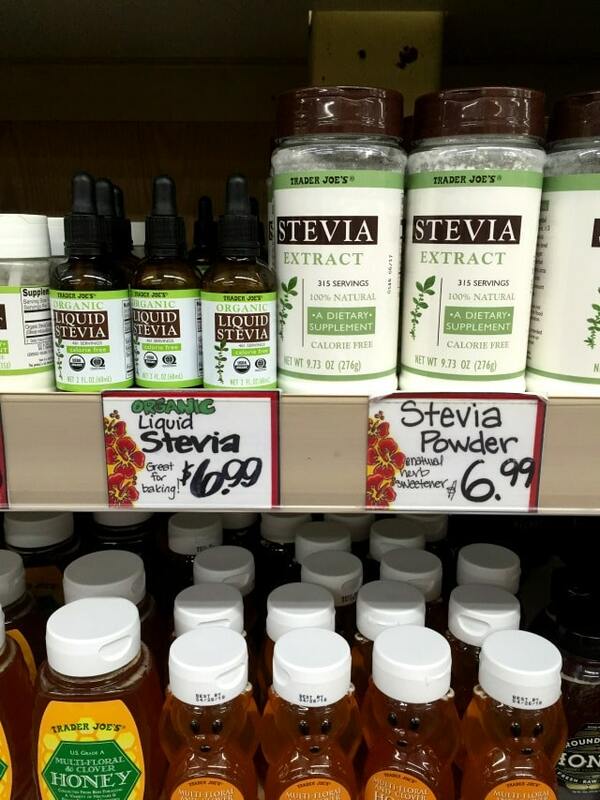 Even superfoods are available! So much goodness in this picture! 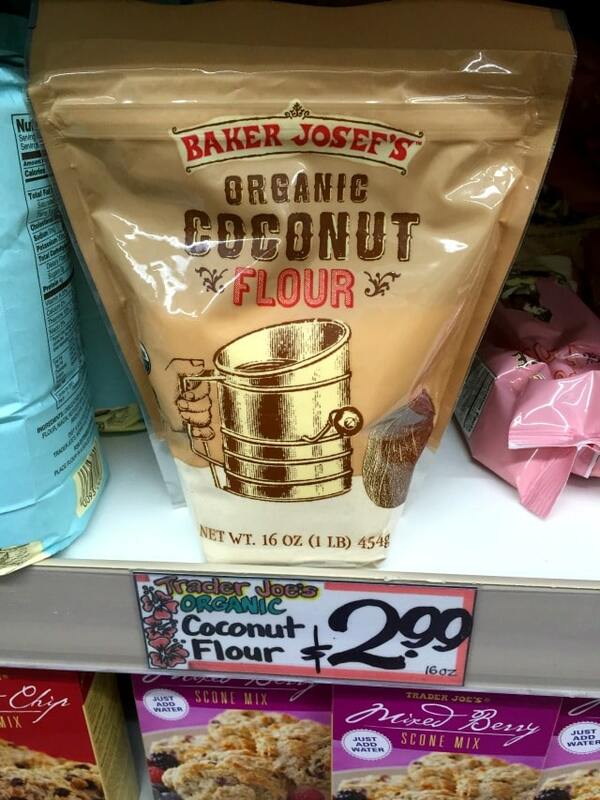 They have coconut flour! Yippee! 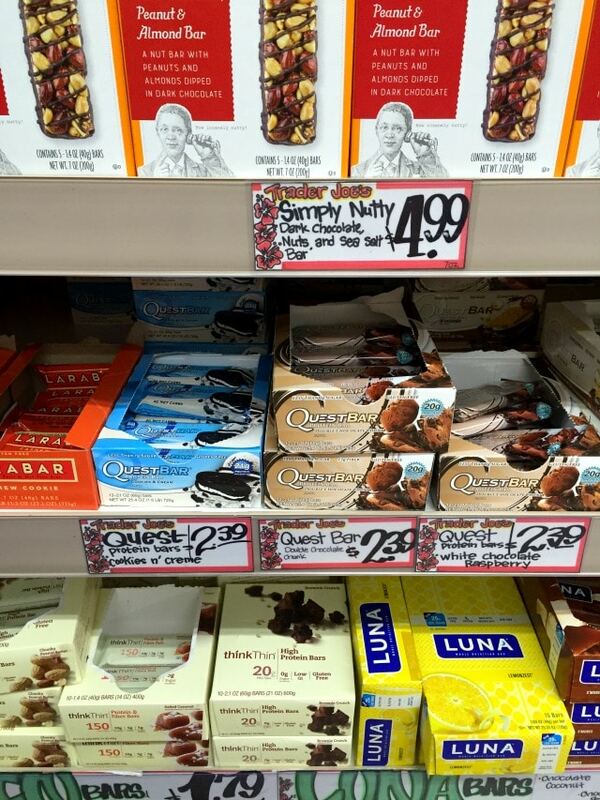 And they even have my beloved Quest Bars! There’s never a shortage of fun chips and crackers… some healthy, some not. 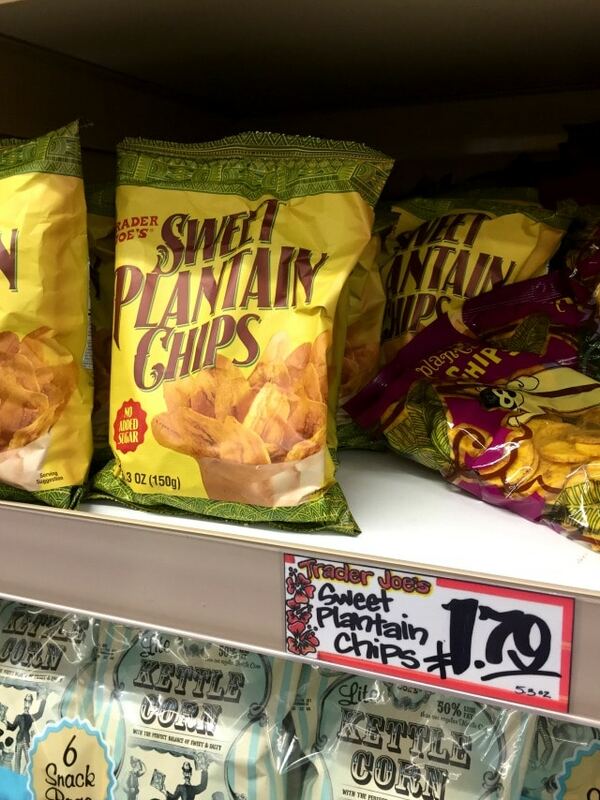 I absolutely love the salted plantain chips, so I’m thinking these sweet ones would be quite dangerous. 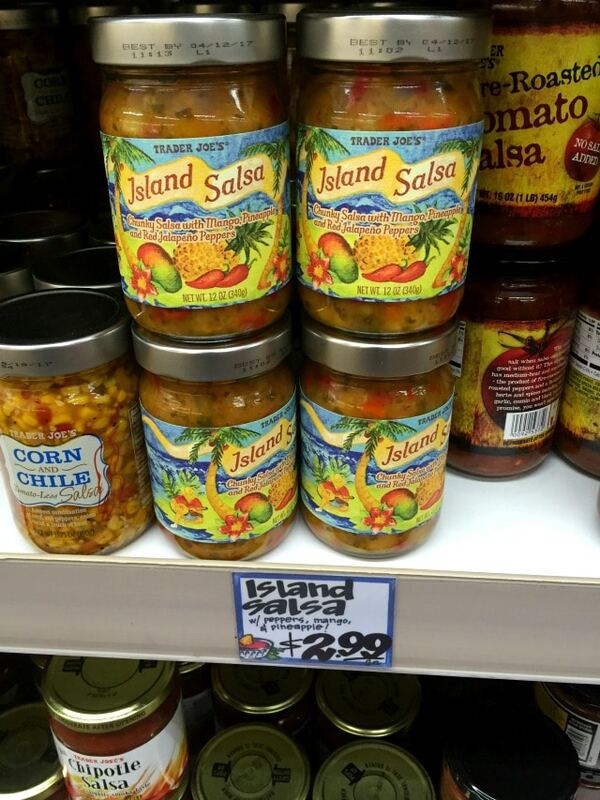 Fun salsas too! The one pictured below follows the mango theme. 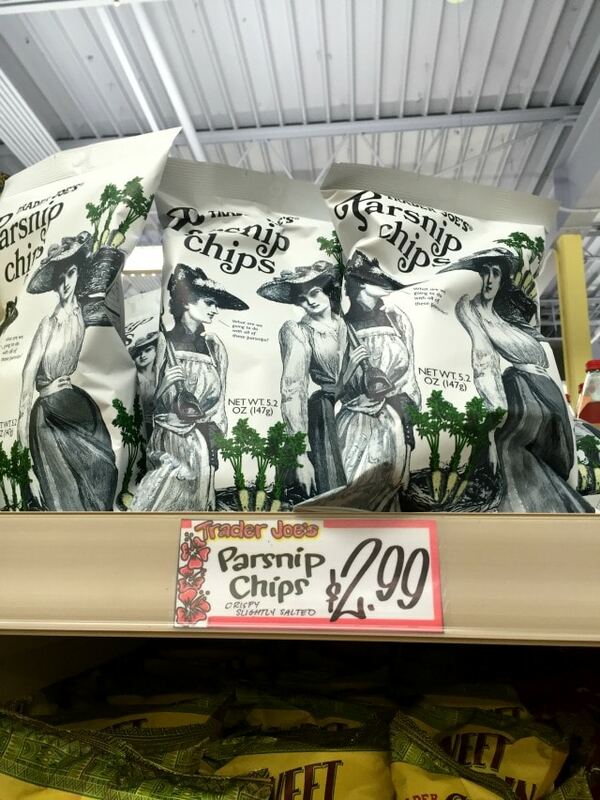 I talk more about some of my favorites in my first Trader Joe’s post. You’ll find a great selection of breads, muffins, baked goods and wraps. 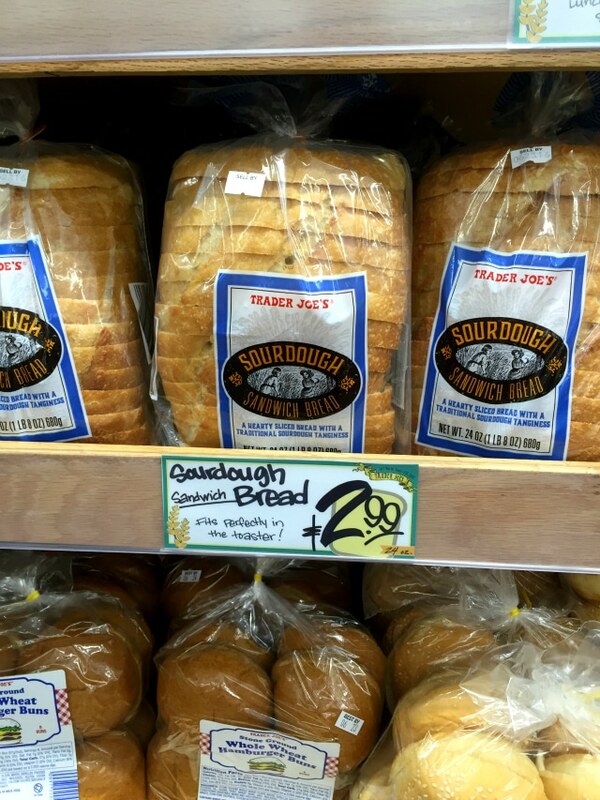 One of our recent favorites is the sourdough bread. Brad’s a little obsessed with making his sandwiches on this bread lately. 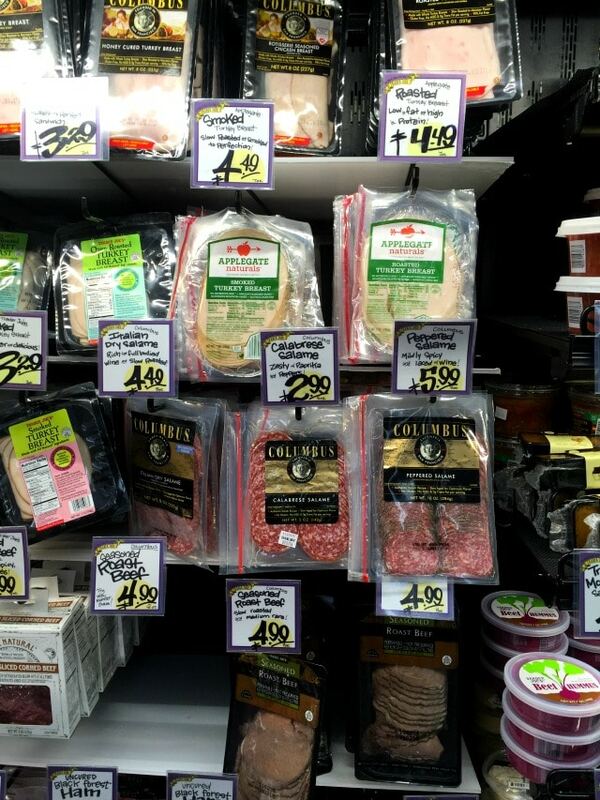 Speaking of sandwiches… I love that Trader Joe’s offers minimally processed, nitrate free deli meats. 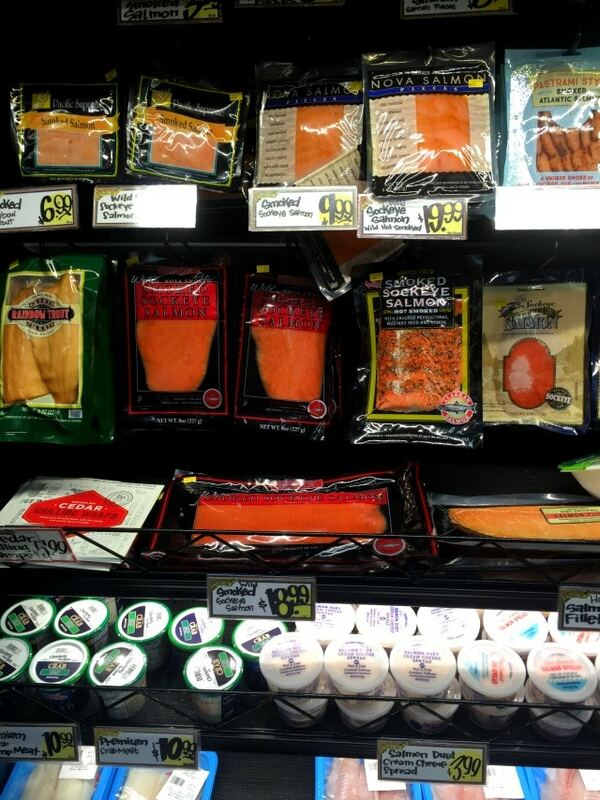 Love the smoked salmon too! The wine cellar… oh, yes!! 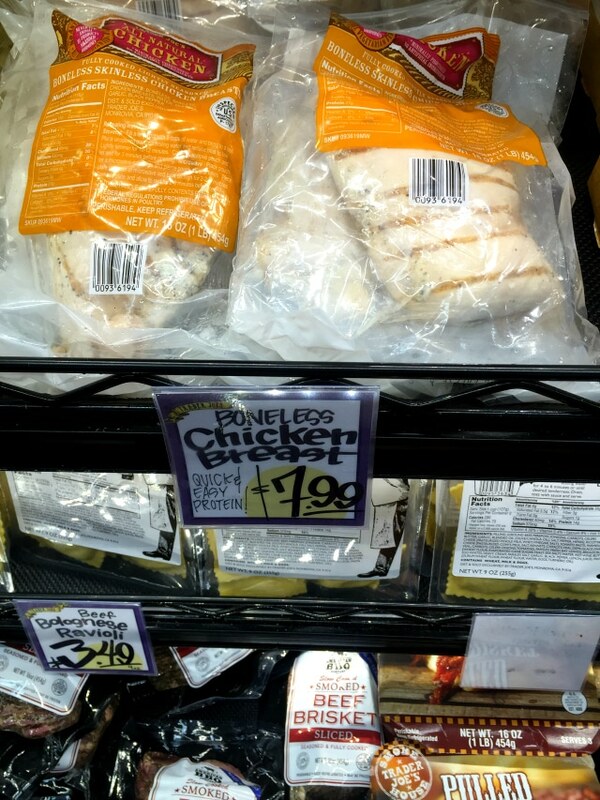 I hope you love my Trader Joe’s round up. 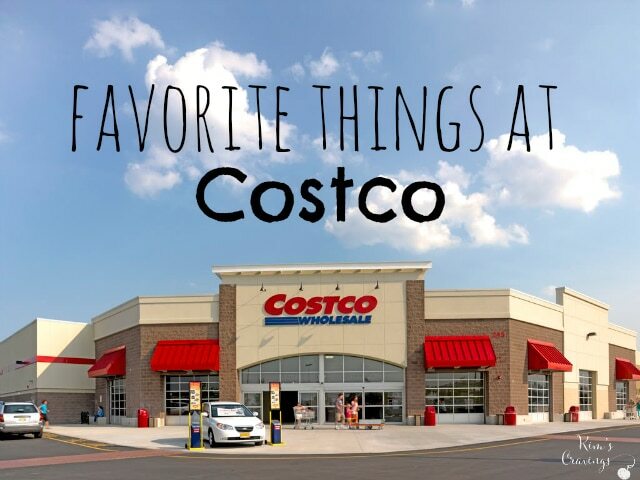 I’d love to hear what your favorite products are from TJ’s. Leave a comment below! Hahaha – and OF COURSE 2 buck chuck! 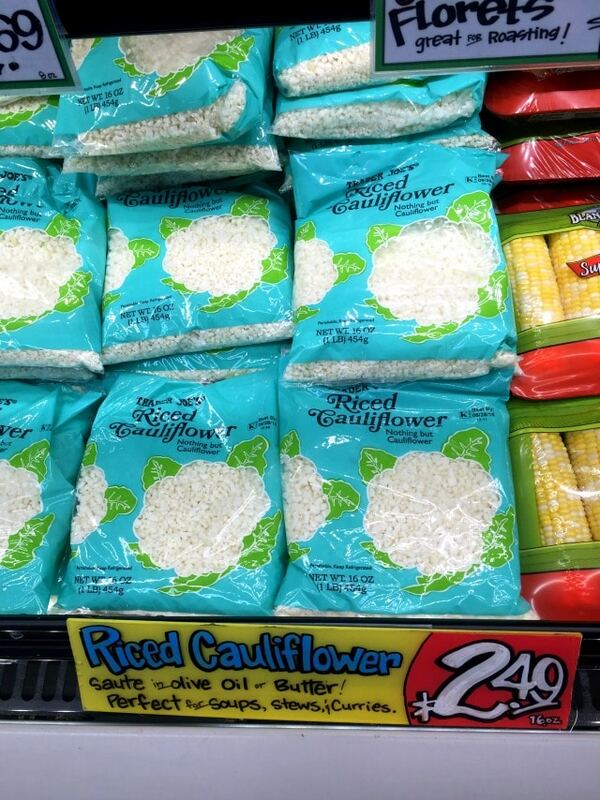 I’m also loving the riced cauliflower. The price is great for how much you get and the fact that it saves me the hassle of busting out the food processor and making a mess! 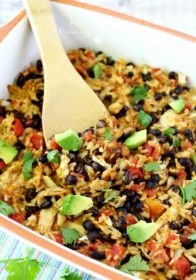 The timing of this post is so funny because just this weekend I went back to your original post, and I’ve got your go-to TJ’s pineapple salsa chicken cooking in the crock pot right now! That’s funny… hope you enjoyed the chicken recipe! 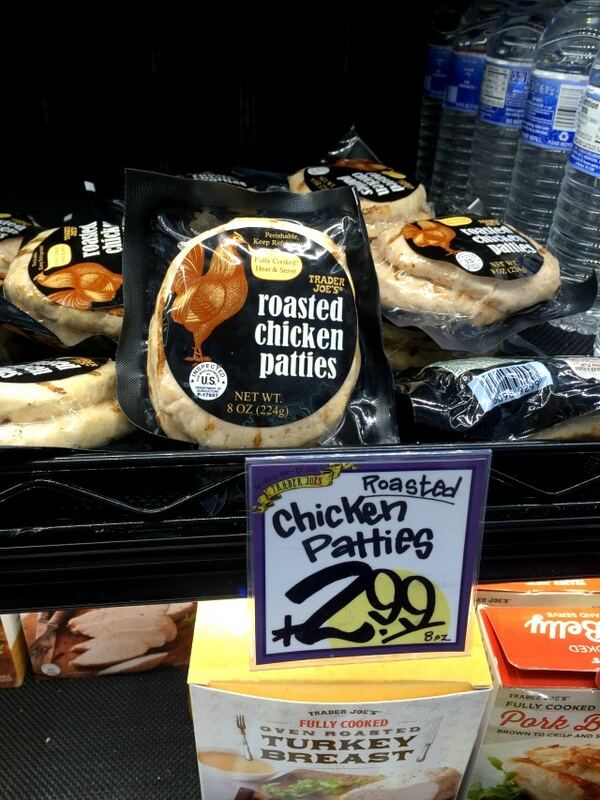 I had no idea that TJ’s had roasted chicken patties for 2.99. I need to get some of those. 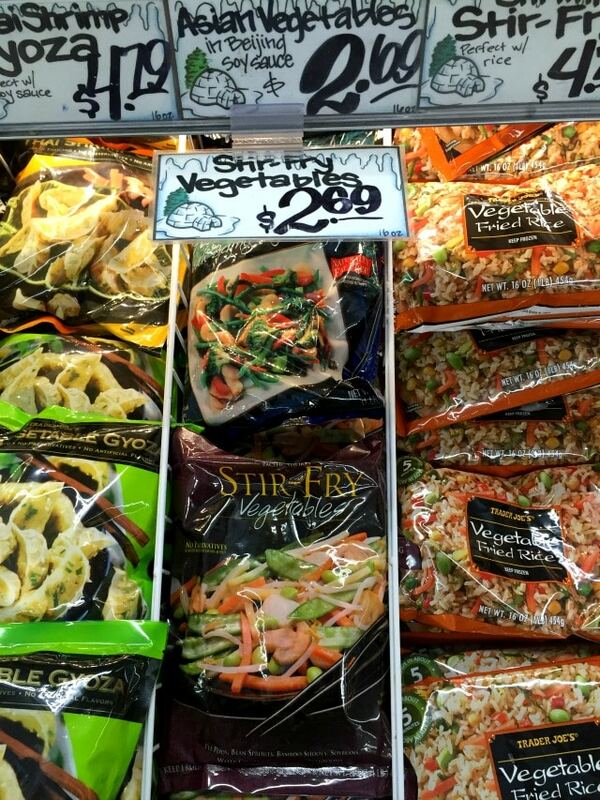 My favorite TJ’s products are the plantain chips, honey nut o’s, coconut oil, ketchup, and asian stir fry veggies! The plantain chips are beyond amazing. I can’t even buy them anymore because I can’t be trusted around them! 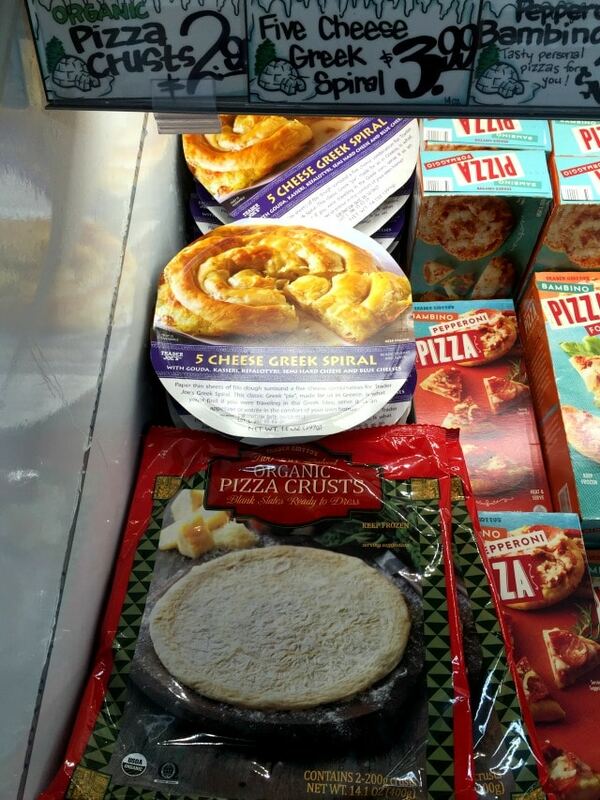 OMG…that all looks amazing, I wish we had Trader Joe’s here in Australia. So so envious! I didn’t have a Trader Joe’s near me for the longest time and I’m definitely enjoying it! 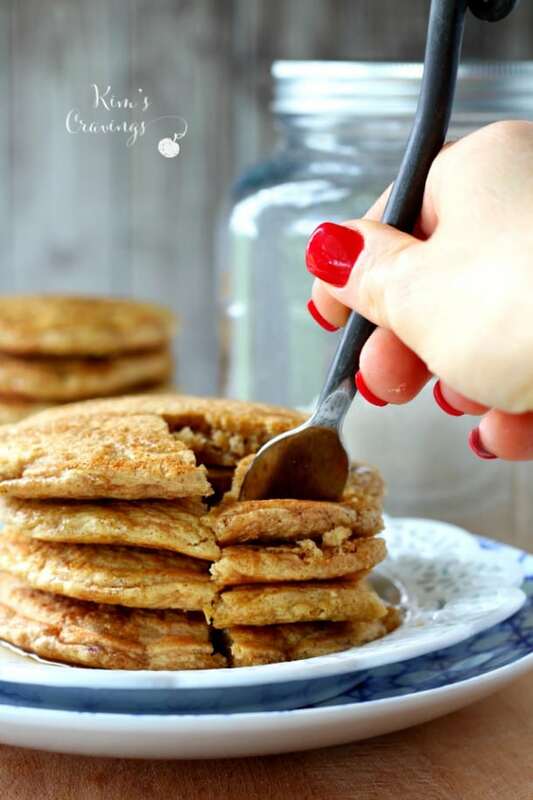 Okay so I stumbled on you blog because I found your oat blender pancakes on Pinterest and decided they were so amazing I needed to start stalking your blog….can I just say I’m officially a fan now? Oh and I might be tiny bit jealous that you live in Texas because frankly me and my husband absolutely LOVE Texas! 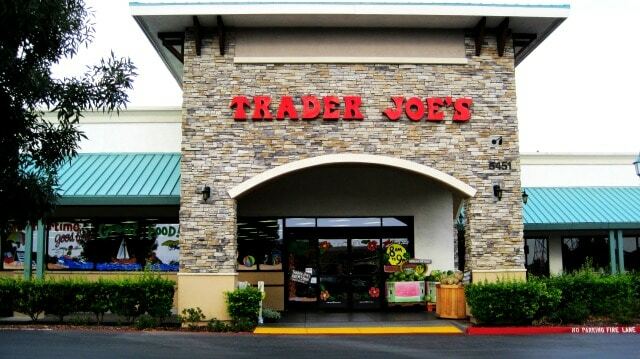 Another thing we love is Trader Joes and your list of favorite things was really fun. I’d like to add that their dairy free chocolate ice cream is to die for as is their Gluten free Joe Joe cookies. Oh and they just added peanut butter jelly bars that are gluten free as well and taste like dessert. I’ll be the first to admit I can hear the exact moment my husband is in the kitchen opening one and then he HAS to share. Also, I made cauliflower pizza a few months back before trader Joes had their back of it and man would that have been easier and less messy so I’m excited they now carry a bag of it already shredded. 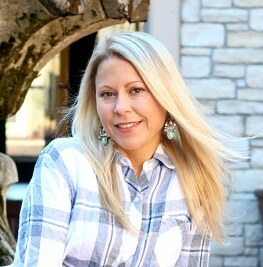 I will be adding you blog to my blog for list of blogs to visit because it’s so great! You’re the sweetest! I’m so glad you enjoyed the pancakes! 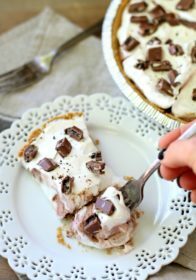 I’ve got to try that chocolate ice cream and the peanut butter and jelly bars. I’m a fan of anything PB&J. 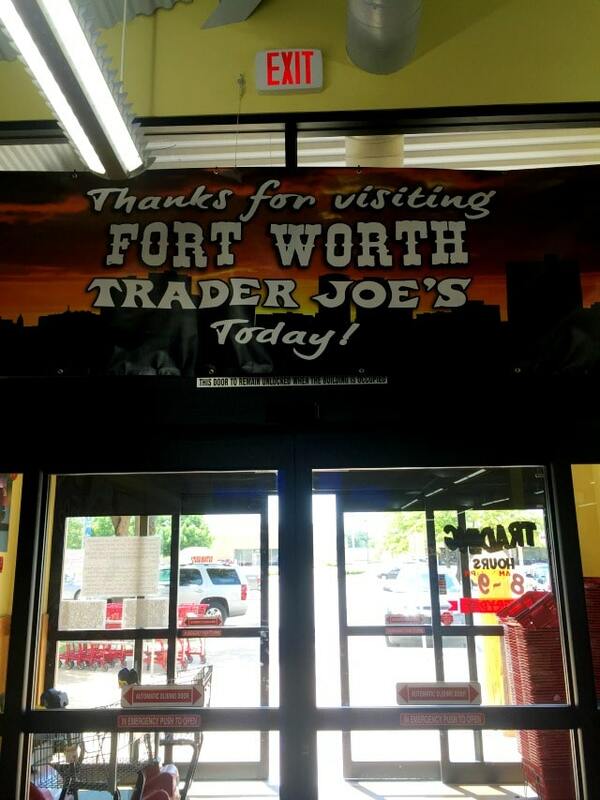 I’ve been shopping at trader joe’s since forever…! My freezer always has their edamame, both in the pod for snacks and shelled to add to dishes. 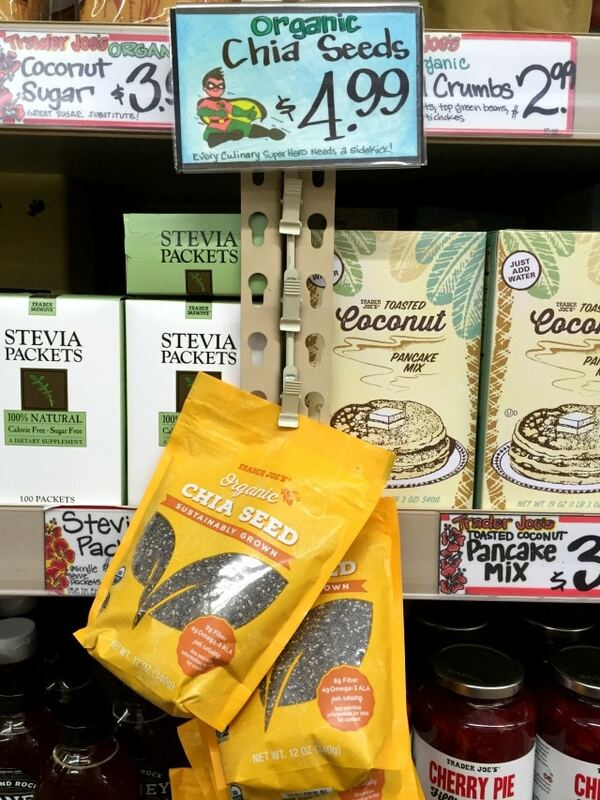 I love that they now sell hemp seeds and the nut butter section is one of my favorites too. The frozen meatless balls are literally always in my freezer, i use them for everything from pasta to crumbled in salads or soup. 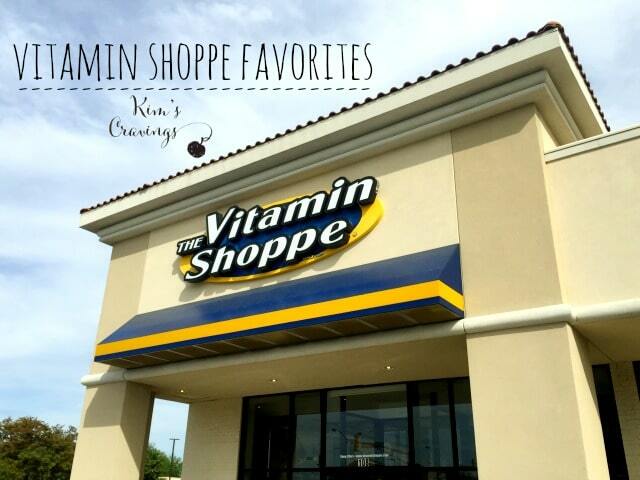 I totally agree, the nut butter section is awesome! I need to try some of the items you mentioned. I’ve been eyeing the frozen meatballs and pumpernickel pretzels sound very yummy.